Guardians of the Galaxy's Dave Bautista Retires From Professional Wrestling - celebrities life, news, blogs, photos, gossip etc. Tapping out! 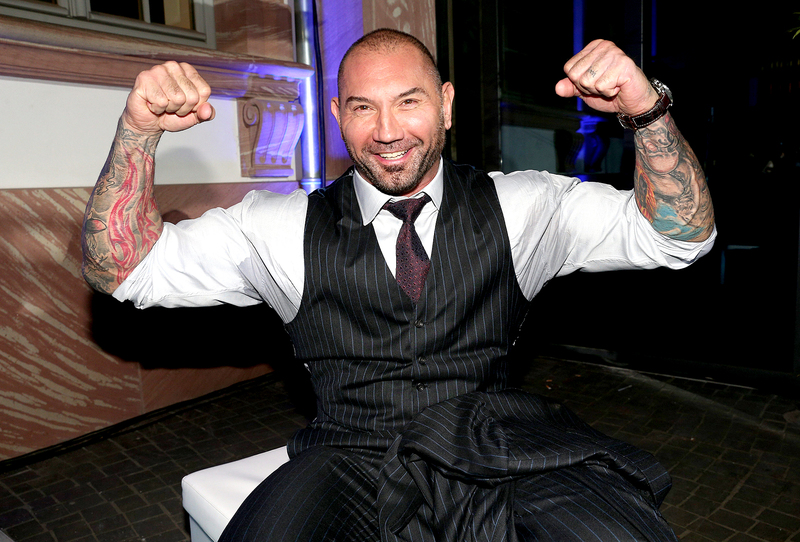 Dave Bautista is retiring from professional wrestling, but his acting career shows no signs of slowing down. Bautista joined the WWE’s developmental system in 2000 and made his television debut in 2002. Since then, he has won four World Heavyweight Championships and two WWE Championships. Bautista — whose other film credits include Riddick, Spectre and Blade Runner 2049 — will appear in the upcoming Dune remake costarring Timothée Chalamet and Rebecca Ferguson. And on Friday, April 5, Deadline announced he’ll star in the big-budget zombie heist film Army of the Dead.